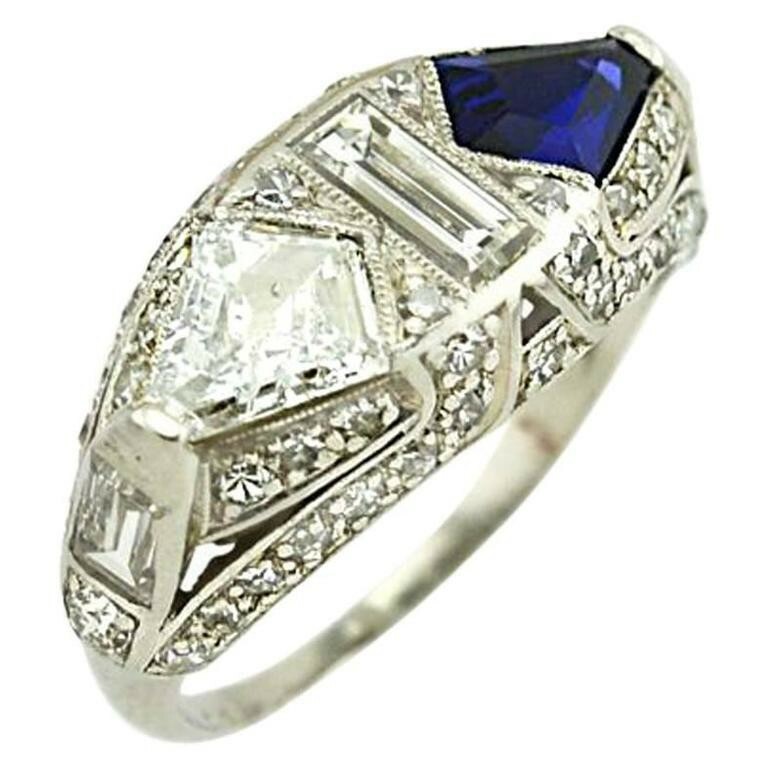 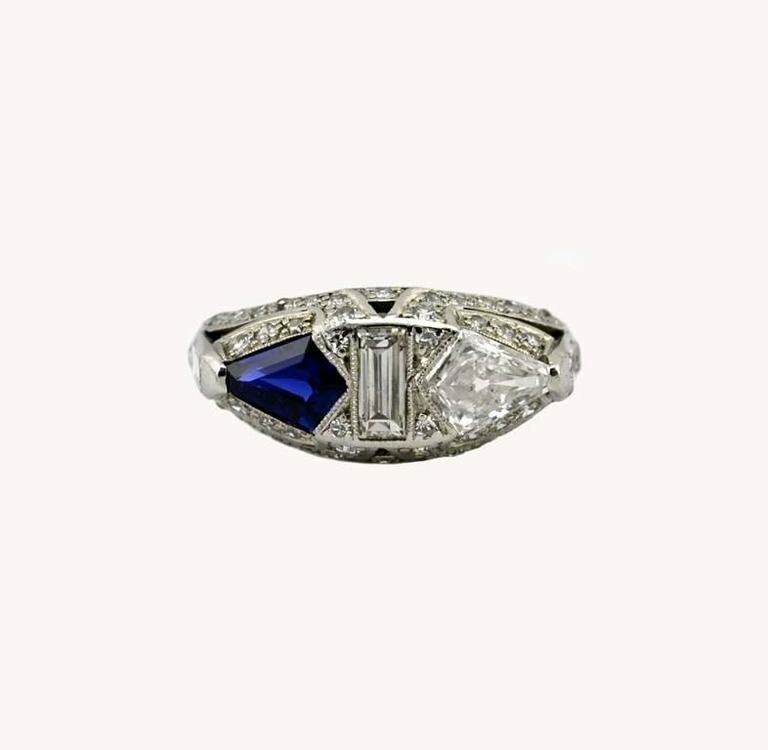 An incredible and unusual platinum Art Deco sapphire and diamond ring from circa 1920. 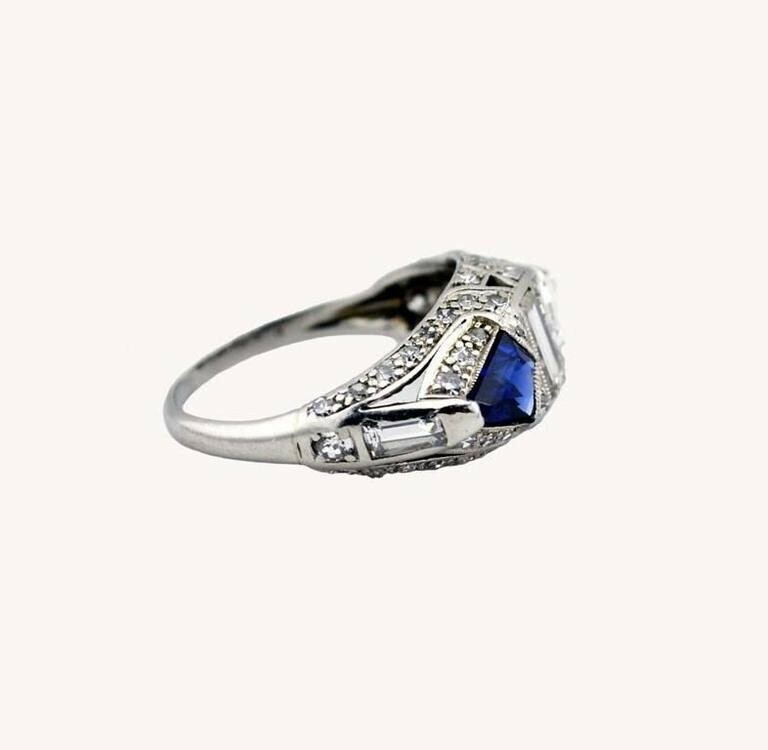 This beautiful ring features a sapphire approximately 0.80 carats and a diamond that is approximately 0.75 carats, G-H in color and SI2 in clarity. 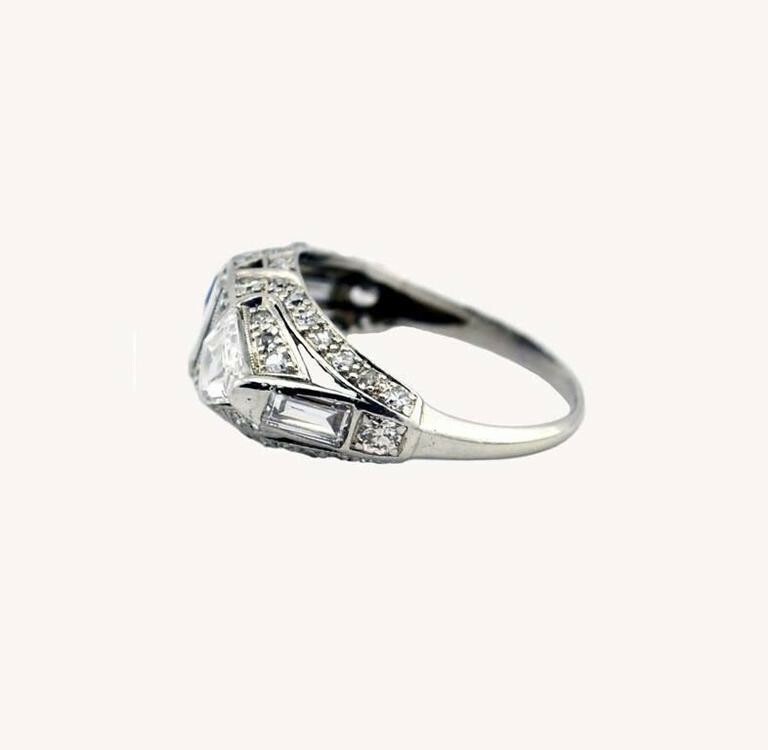 In between the two stones is a diamond baguette approximately 0.20 carats along with 54 single cut diamonds that give the ring an all-around sparkle. 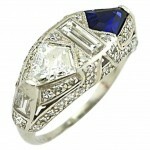 A very special ring! 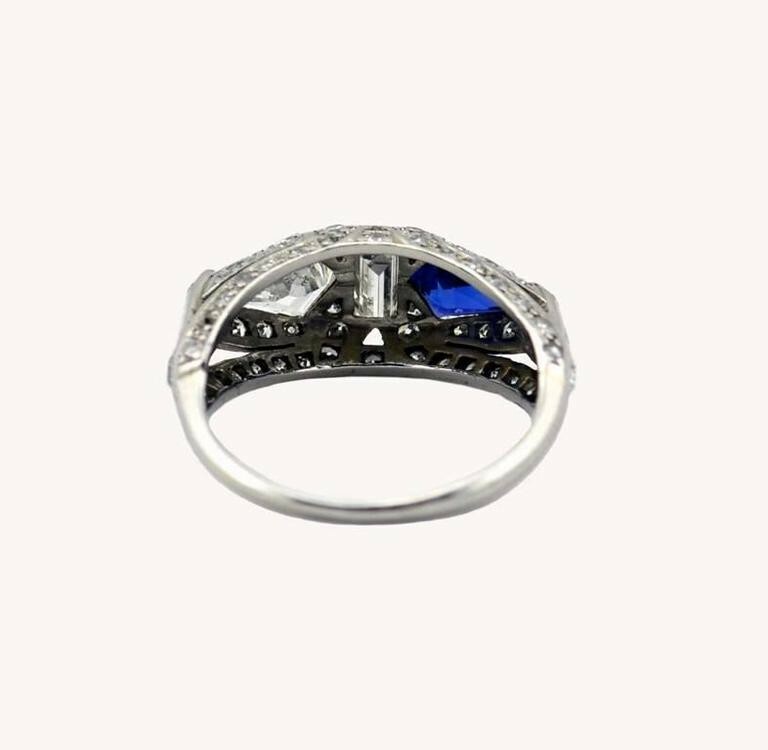 Currently a US size 5 and easily adjustable. 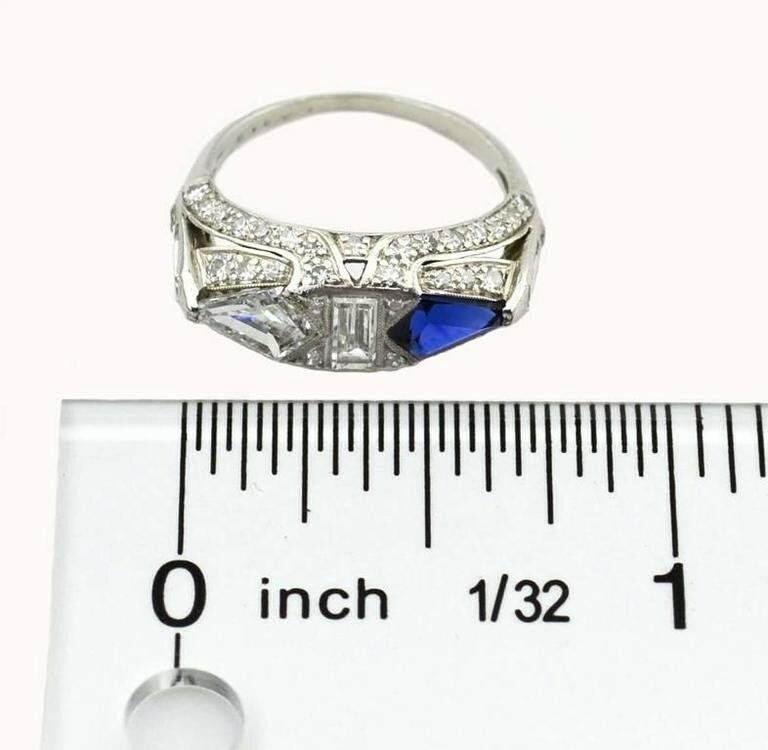 The ring measures approximately 0.40 inches in height and 0.17 inches in depth.